Are you Studying Civil Engineering? Then you have come to right post. We have notify that many Civil Engineers from around face problems in looking for books related to their research or thesis. So we have collected the books which will be useful to those candidates in their study. These books encompasses important mathematical derivations, graphics, physical equations and major theories. Our collection of civil engineering books Written by famous authors. These books include latest and revised editions with updated information on technical advancements in the field. 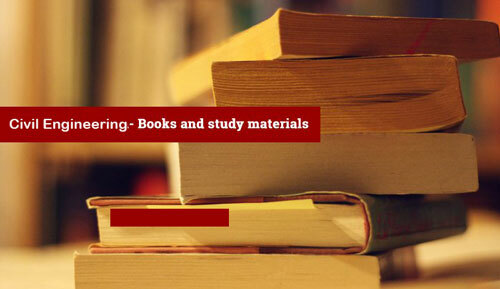 The Civil engineering eBooks are the best study material for the students those who are preparing for the GATE 2018, SSC JE 2018, IES and other examinations. These eBooks are helpful to all civil engineering students from 1 st year and final year of engineering. In this page we have provided Subject wise Civil Engineering EBooks. Here you can download all free Civil Engineering Books and answers in Pdf format. Note: Here is the important note for all the aspirants in this page we just provide only verified notes and materials which are available on Internet. Our webpage is not an official page of Civil Engineering Books.